Luis de Garrido is set on designing a global system of cities able to sustain a necessary ecological paradigm of social and economic development. Reverse the current global trend of large city growth in less developed countries. Allow and encourage the growth of smaller cities, according to their distance from the central locations, and that the population is distributed more evenly throughout the territory. The distribution of the population centers of the new system of cities should be performed on a human scale, with a quasi-hexagonal structure, similar to the network of medieval and commercial cities, based on the weekly open-air market, based on central place theory. Large cities should be divided into several villages (on the appropriate human scale) separated by means of peripheral green areas, and become a federation of self-municipalities. The towns must have the highest possible level of self-sufficiency in energy, water and food, in order to avoid excessive dependence on other central places, and to minimize commuting and transport of goods. The maximum size of all villages (in order to avoid the diseconomies of scale) should be between 50,000 and 300,000, depending on their economic and cultural conditions, and depending on the terrain. Luis De Garrido, in order to realize their ideas, has applied the above parameters in a research project called “Catalonia 2200” which aims to design a new system of cities in Catalonia, and restructure the city Barcelona, to become a federation of self-sufficient urban centers. 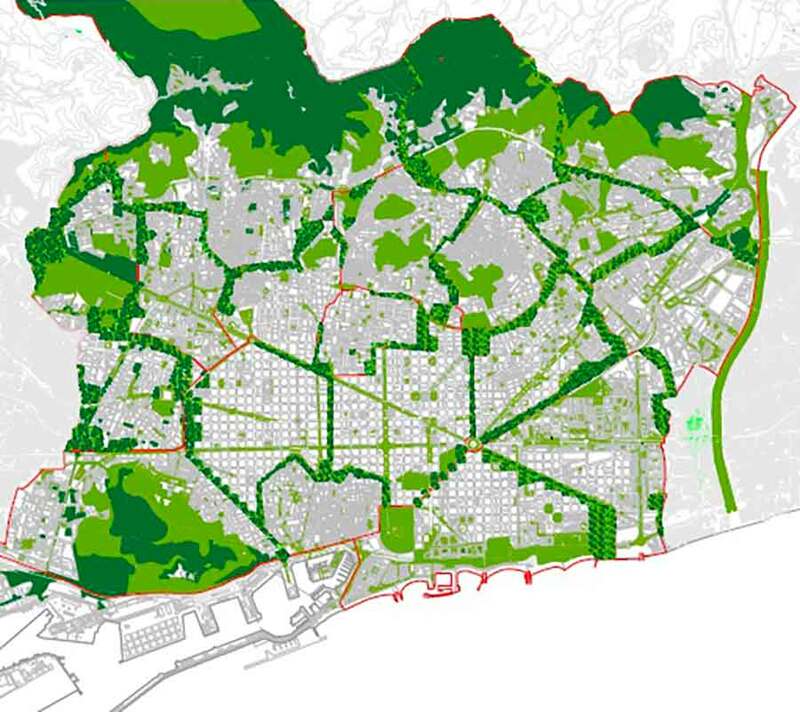 Similarly, in their professional activity and taking into account these parameters, Luis De Garrido has designed several ecological and self-sufficient cities, and has made several urban plans for several cities.